Imagine a perfect world: your warehouse operations would run smoothly every day, no vehicles would need any repairs, and all deliveries would be made on time — every time. Sounds great, right? Your productivity would always be at 100%. Your vehicles would always be in tip-top shape. And you’d never need to worry about things like equipment warranties or repair costs. What happens when one of your vehicles breaks down and needs repairs? When it comes to fleet management, do you struggle with any of these issues? Inaccurate billing: Have you ever received an invoice only to realize you were charged for the wrong parts or service? If you don’t catch it in time, this can lead to additional expenses — and headaches. Many of our clients have told us that they experienced these problems before working with PMHSI. Not only were they not getting the repairs they needed — they were often being invoiced incorrectly. All this leads to increased expenses and downtime, which results in a loss of productivity. Tracking your fleet history is one of the key pillars of successful fleet management. When you know what your equipment service history is like and whether the parts are under warranty or not, you can make better decisions on how to manage your fleet. We know that the world is not perfect. 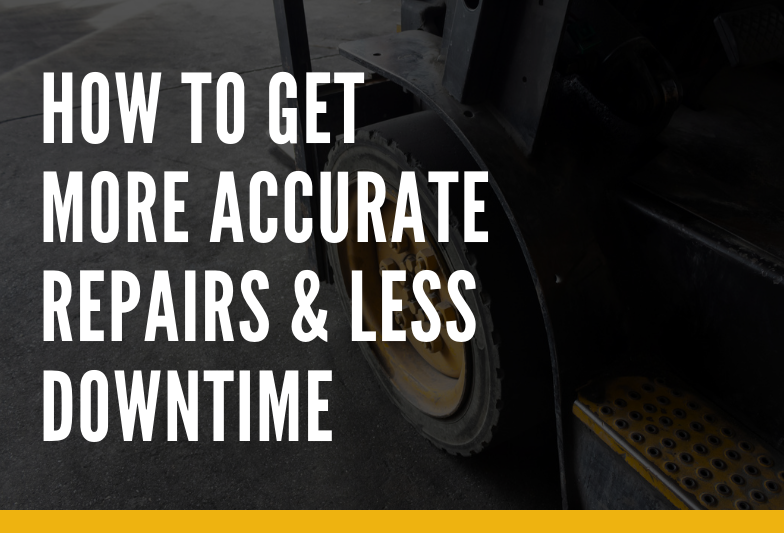 Your fleet will eventually need repairs and that may affect your productivity. However, did you know that you can reduce the amount of downtime you have by carefully tracking your history? Accurate billing: Never deal with an incorrect invoice again. Our intelligent fleet management software carefully tracks your repairs and produces accurate billing to save you time and money — and give you peace of mind. Most importantly, tracking your history doesn’t result in more admin time for you. We handle all the tracking through our intelligent fleet management system on the back end, providing you with more time to run your warehouse. Ready to Track Your Fleet’s History and Reduce Your Downtime? Never want to deal with inaccurate repairs or incorrect billing again? The first step to getting started is to contact us for a no-obligation consultation. We’ll discuss your operations and your current fleet management system, and offer solutions on how we can help you increase your productivity with better repairs. Tracking your history is just one part of the PMHSI fleet management program. In addition to tracking your fleet’s history, we track your service and a number of key metrics that help us to optimize your fleet’s performance. Get in touch with us today to learn more about how you can optimize your fleet’s performance and productivity with PMHSI.